Welcome to the Benzie County Chamber of Commerce website! 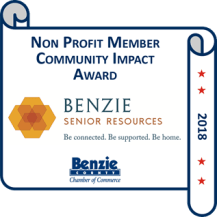 Here you will find information on current community and Chamber events, member info as well as interesting things to see and do in Benzie County. 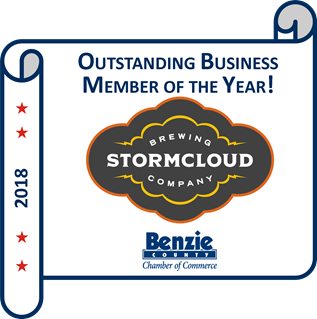 The Benzie County Chamber of Commerce strives to provide the best possible services to our members and our community. 2018 Outstanding Business Member of the Year. View the Google Spin Tour of the Benzie County Chamber! From this link you can take a virtual tour of our office and surrounding area. INTERESTED IN SPONSORING A BUSINESS AFTER HOURS? Just click here for the details. Enjoy Benzie's 135 miles of groomed trails and challenging terrain. Trails are marked well with signage, & maps can be obtained at several points along the way. Relax and enjoy your ride in Benzie! Crystal Mountain has plenty to offer an unforgettable Michigan winter experience. Ski & ride 50 downhill slopes. Glide across 30 kilometers of groomed cross-country trails. Snowshoe over 80 acres of wooded valleys while capturing breathtaking overlooks around every bend.